At Riley & Jackson, P.C., our lawyers understand both the emotional and financial impact of a spinal cord injury. An injury that results in paralysis will change every aspect of your life, from how you get around and perform everyday functions to the extensive medical costs you may incur in the future. If your paralysis was caused by the negligence of someone else, the law allows you to be compensated by the other party’s insurance company. While no amount of money will allow you to recover everything you have lost, your quality of your life going forward may depend in part on your financial recovery from a personal injury lawsuit. 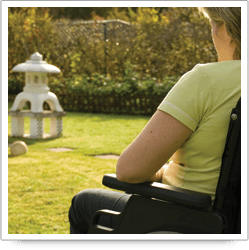 Our lawyers represent spinal cord injury victims throughout Alabama. We will do more than handle your legal case for financial compensation. We will give you the guidance and counsel you need to get through a very difficult time. We offer a free initial consultation to discuss your case. cure today. However, medical treatments and medical technology continue to improve. We encourage our clients to be hopeful about the future. Many people live long and productive lives after a spinal cord injury. Compassionate assistance: When Tim Aaron was permanently paralyzed because of medical negligence, our lawyers took up his cause. As a result of a settlement with two defendants and a jury verdict against a third, Tim was able to make his home wheelchair accessible and implement a life care plan to assist him with his daily needs. Read testimonials from Tim Aaron and other clients. Our attorneys will hire the best experts to assess everything you will need for the rest of your life, including medical care, medical technology and future treatment. People who suffer paralysis will need help adapting to a new way of doing everyday things. Your home may need to be remodeled, or you may need a new home that is more accessible. Our lawyers will work hard to make sure you get the help and resources you need. For more information or to schedule an initial consultation with paralysis attorneys, please call 205-879-5000 or send us an e-mail via this website.